Norman Lock is the author of plays, novels, and fiction, most recently, the story collection Love Among the Particles (Bellevue Literary Press, 2013). 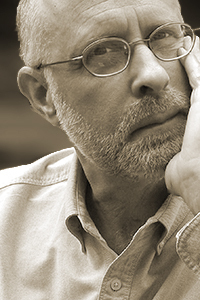 He is also the author of a collection of poems, Alphabets of Desire & Sorrow (forthcoming from Pear Noir!, 2014). His play The House of Correction (Broadway Play Pub, 1988) was performed in Istanbul in 2013. Lock is the recipient of the Aga Kahn Prize from The Paris Review, as well as fellowships and grants from the Pennsylvania Council on the Arts, the National Endowment for the Arts, and the New Jersey State Council on the Arts.